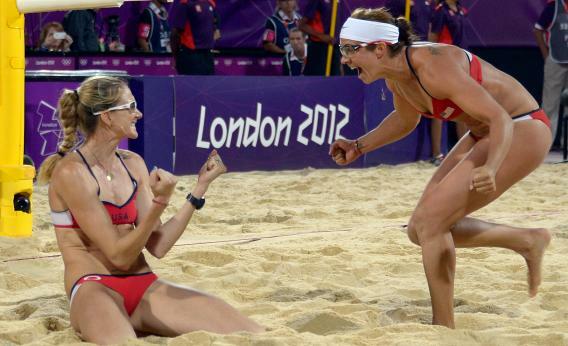 ﻿﻿﻿ And it's not that I'm all big into beach volleyball... but I have loved watching these two girls play together and to cap off their career as a team with one last Olympic Gold? Pretty sweet. Nothing much to report here... been SUPER busy at work and the whole fam is also coming off a week of sickness. We all got hit pretty hard and I learned quickly that mothering a little one while feeling like death is HARD WORK. Grateful for my hubby giving me extra help, even though he was feeling crappy too. It was a rough week in our household, but we survived! I love the Golden Girls!! I've played volleyball since I was 12 and have followed them for years. They are so fun to watch and I will miss them!